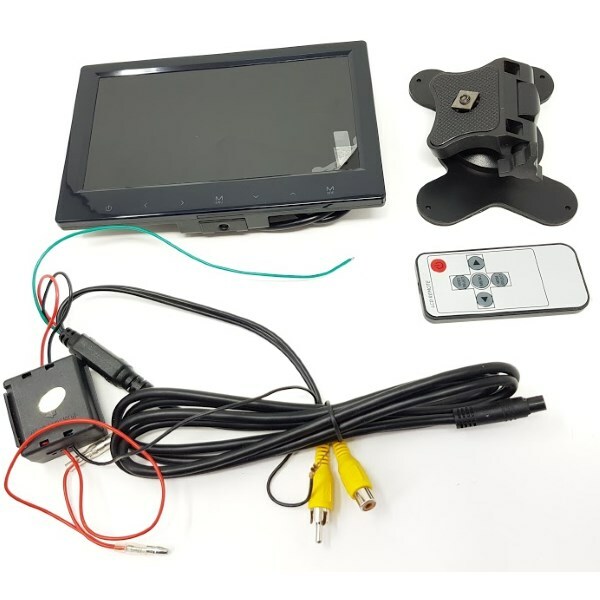 This is a brand new 7 inch colour rear view monitor that uses RCA connectors. It has a standard 480 x 234 LCD colour panel. It is an end of line product with a 12 month guarantee. It comes complete with the power loom for the monitor and a butterfly style stand.